Please contact me regarding the 20' OPEN SIDE - Stock# S-27 for sale at TruckerToTrucker.com. Take a look at this 20' OPEN SIDE. It is Stock# S-27 at TruckerToTrucker.com. 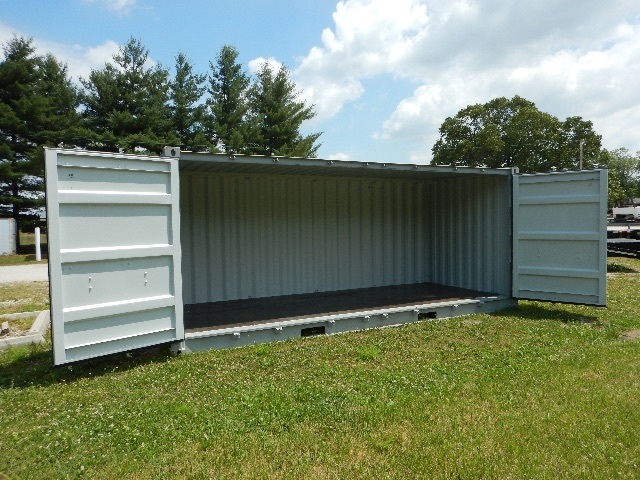 (NEW) 1 Trip OPEN SIDE Shipping Storage Container 20' Long X 8' Wide X 8'6" Tall. One Trip New condition containers are built new in China and shipped one time with cargo in them to the USA. The freight is unloaded and they are made available for sale in the USA. You should expect minor dings or minor dents and surface scratches and possibly marks on the floor from fork lift loading. This grade container is in very good to excellent condition.